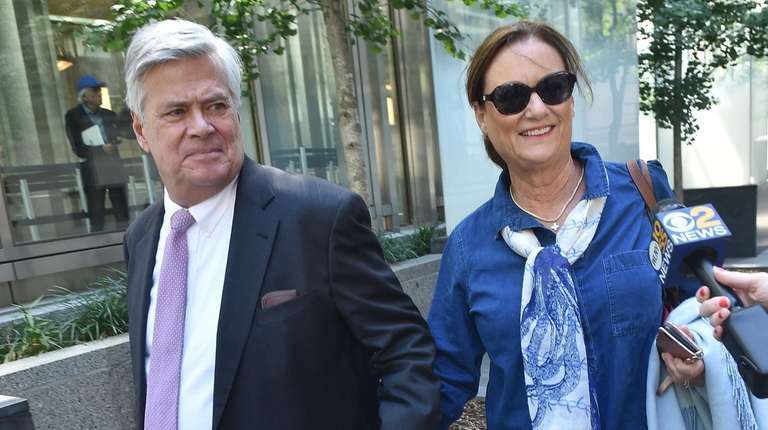 The former state Senate majority leader told jurors he never tied help for Adam Skelos to legislation being sought by Glenwood Management, the New Hyde Park-based owner of luxury apartment buildings in New York City. Former State Senate Majority Leader Dean Skelos, under cross examination by a federal prosecutor Monday, acknowledged that he wanted a real estate developer to get his son a job – but insisted it would not be in exchange for the senator’s vote on lucrative tax breaks for building projects. Glenwood Management, after nearly two years of Dean Skelos’ requests, arranged for a title insurance company to pay Adam Skelos $20,000 for no work and secured for him a consulting job with an environmental company, which was partially owned by Glenwood executives. Still, Dean Skelos testified Monday that he never tied help for Adam to legislation being sought by Glenwood Management, the New Hyde Park-based owner of luxury apartment buildings in New York City. “In all these asks that you made on behalf of your son, the fact that you controlled the fate of legislation that was so important to Glenwood never came up?” the prosecutor asked in Manhattan federal court. “That’s absolutely so. So, help me God,” said Dean Skelos, of Rockville Centre. Earlier Monday, Dean Skelos, a Republican, testified that he used cautious language in speaking on the telephone in 2015 after then-Assembly Speaker Sheldon Silver (D-Manhattan) was arrested on federal corruption charges. “In the back of your mind, there is always a concern that your phones are being wiretapped,” Dean Skelos said under questioning by his attorney, Robert Gage Jr. He added, “Obviously, there was paranoia” in the state Capitol as a result of Silver’s downfall. Monday was Dean Skelos’ second day on the stand. Three years ago, he chose not to testify at his and his son’s first trial on federal corruption charges. The prosecution’s cross examination of the senior Skelos continues Tuesday. The retrial was ordered after the Skeloses’ 2015 conviction was overturned because a later U.S. Supreme Court decision redefined one of the crimes that the pair were found guilty of. The Skeloses are accused of using Dean Skelos’ position as one of state government’s three most powerful individuals to win employment and cash for Adam Skelos. In return, Dean Skelos promised to vote for legislation needed by those aiding his son, according to the indictment. 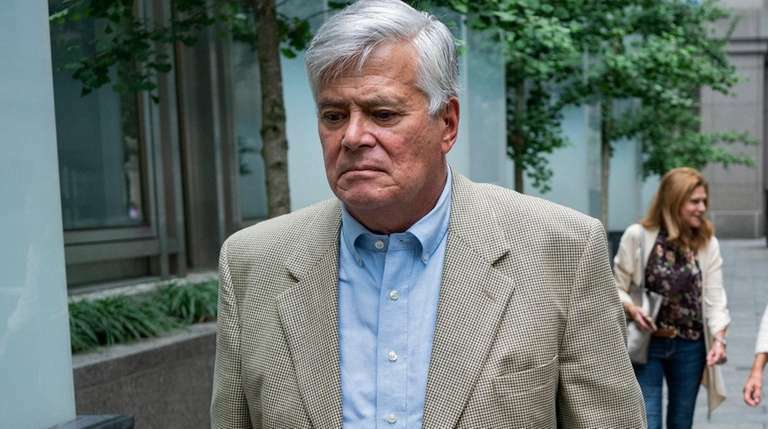 Dean Skelos, 70, and Adam Skelos, 36, both have denied wrongdoing and pleaded not guilty. The retrial comes because the U.S. Supreme Court more narrowly defined the kind of quid pro quo bribery scheme a public official must engage in to be convicted of bribery. 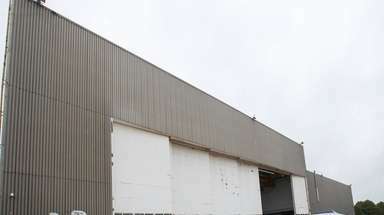 The high court said a public official must do more than make a telephone call or arrange a meeting. The father-son pair is accused of multiple quid pro quo schemes with three businesses that paid Adam Skelos hundreds of thousands of dollars. Each company needed Dean Skelos’ vote for key bills before the Senate. Monday, the prosecutor peppered Dean Skelos with questions about his “of counsel” job at the law firm of Ruskin Moscou Faltischek P.C.in Uniondale. Skelos was paid between $150,000 and $170,000 per year but acknowledged he did no legal work. “They did pay me for more than prestige,” Skelos said, adding he represented the law firm at political and charity events. He also said other state lawmakers had side jobs because their legislative jobs are part-time under the state constitution. Earlier Monday, Skelos testified that his staff arranged a meeting for one of Adam Skelos’ employers with a state agency only after Dean Skelos’ chief of staff, who also is a lawyer, said there was no conflict of interest. Dean Skelos also provided details of his 2013 meeting with former U.S. Sen. Alfonse D’Amato. 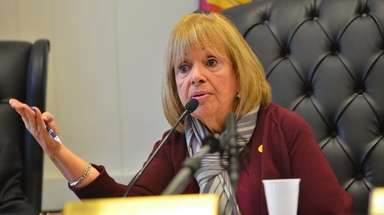 In the meeting, D’Amato warned of Adam Skelos facing possible termination from his $78,000-per-year job at Physicians’ Reciprocal Insurers in Roslyn for poor attendance and threatening his supervisor with physical violence. 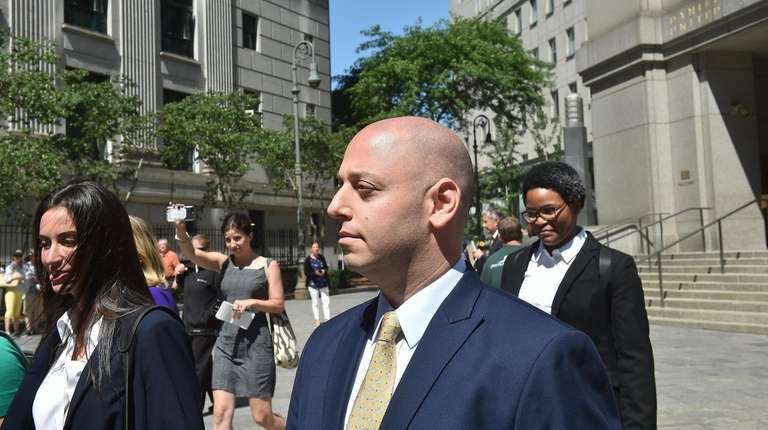 In addition, jurors on Monday heard a wiretapped telephone conversation in which a distraught Adam Skelos told his father that he had been fired from his consulting position at environment company, AbTech Industries. “I lost something I had…I need you home," Adam said in the March 2015 call to his father in Albany.